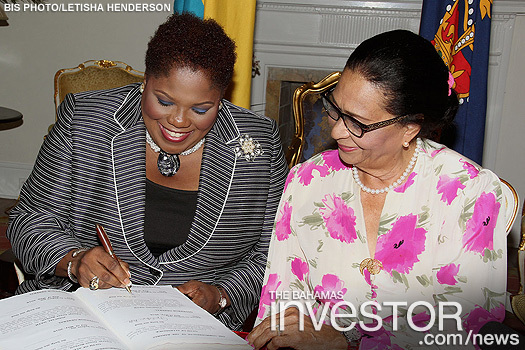 Cheryl Grant-Bethel was sworn-in as Justice of the Supreme Court and Joyann Ferguson-Pratt was sworn-in as Acting Justice of the Supreme Court by Governor-General Dame Marguerite Pindling earlier this week. 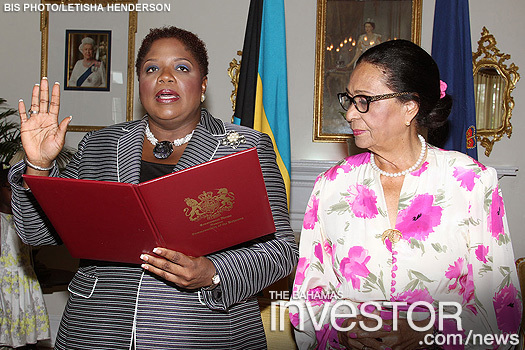 Cheryl Grant-Bethel was sworn-in as Justice of the Supreme Court and Joyann Ferguson-Pratt was sworn-in as Acting Justice of the Supreme Court by Dame Marguerite Pindling, Governor-General. 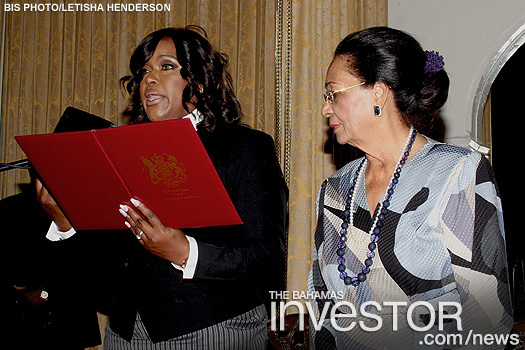 Cheryl Grant-Bethel was sworn-in as Justice of the Supreme Court by Governor General Dame Marguerite Pindling during a brief ceremony at Government House May 3, 2016 (pictures 1 & 2). 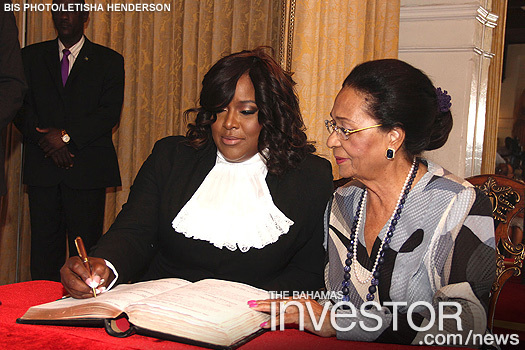 Joyann Ferguson-Pratt was sworn-in as Acting Justice of the Supreme Court by Dame Marguerite Pindling, Governor-General, during a brief ceremony at Government House May 2, 2016 (pictures 3 & 4). 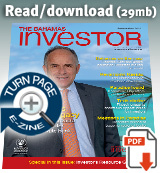 The Bahamas is set to receive a $500 million investment, according to the Minister of Tourism. The investment will be laid out over two years, with cruise lines providing a majority of the funds.